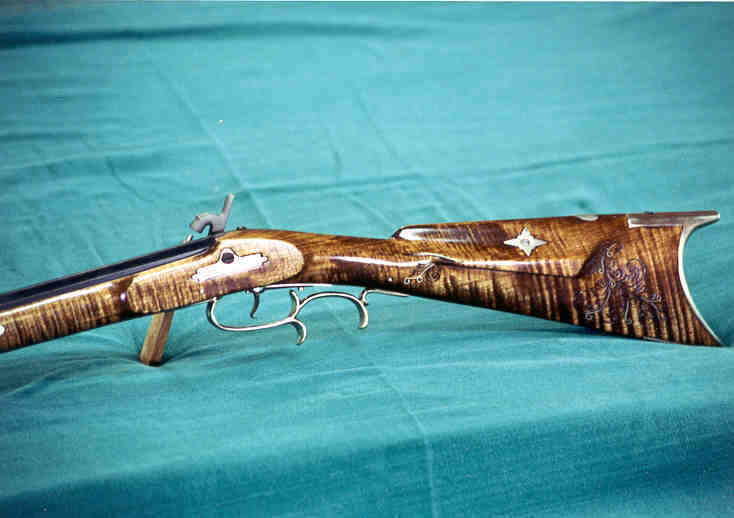 A neat little half stock rifle in the style of Jacob and Caleb Vincent of Ohio. 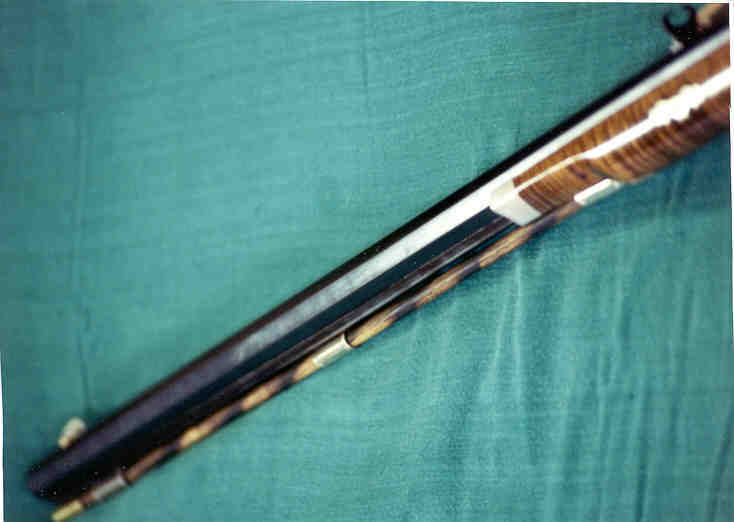 This rifle was built with silver mountings and was incise carved to the rear of the cheekpiece. 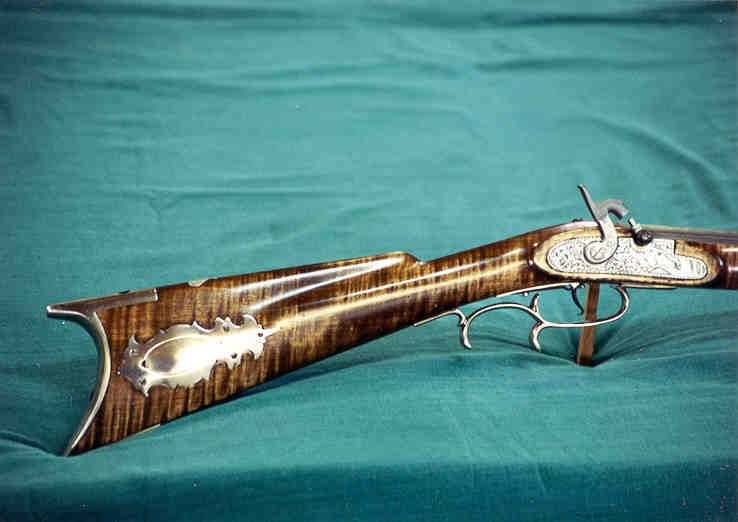 The Davis “squirrel lock” with its cast in engraving further enhanced the look of this light little rifle in 36-cal.